SOLO’s Wilderness First Responder (WFR) course is the recognized industry standard for those who work as backcountry trip leaders, camp counselors and students in outdoor recreational programs. This course is designed for people who currently hold an Advanced Wilderness First Aid certification and want to upgrade to a WFR certification. 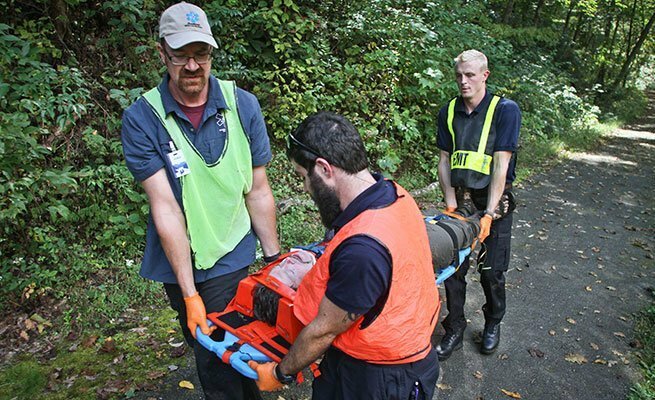 The AWFA-WFR bridge course curriculum covers patient response and assessment, musculoskeletal injuries, environmental problems, survival skills, soft tissue injuries, and medical emergencies. Emphasis is placed on leadership, prevention and decision-making. This course is designed specifically to provide you with the tools to make critical medical and evacuation decisions in remote locations. This course is divided between classroom based learning and practical skills, case studies and scenarios designed to challenge your decision-making abilities. CPR certification is not required to take this class. WFR is a 3-year certification.